Little more than a decade after the Energy Independence and Security Act (EISA) of 2007 was signed into law that December establishing the first Renewable Fuel Standard (RFS) and mandate to blend ethanol into transportation fuel, and one year after the Trump administration assumed power, ethanol industry leaders are happy to see the RFS survived Trump’s anti-regulatory zeal. And of course when EPA released its final RFS ethanol blending targets for 2018 in mid-December, ethanol industry officials wanted more. When Trump assumed office in early 2017 as a major oil, gas and coal supporter, some thought the RFS itself was in danger, and the petroleum industry since day 1 has sought to minimize if not outright repeal the RFS mandate. Trump at times seemed to support the petroleum position, but like every other politician in or near the Midwest, he fully supported ethanol when campaigning in corn-belt states. Then there was a plan floated early in the Trump administration to remove the burden of ethanol blending and renewable fuel credits from refiners and instead place it on the distribution and retail sectors. Such a move would have definitely slowed the spread of E15 and higher blends in the marketplace—but then it turned out the plan, pushed by a Trump economic adviser who owned a controlling interest in a refinery, would just happen to personally benefit the adviser to the tune of $100 million or more, so it was scrapped. These actions are just the latest in a decade that began with good intentions as EISA sought to develop alternative, renewable fuel sources under claims of energy independence, yet ran into problems as the economic downturn and long-term trend toward less gasoline usage combined to make EISA blending targets mathematically impossible. The nature of long-term R&D in a competitive energy environment has also delayed EISA implementation, as development of non-corn ethanol sources and advanced cellulosic biofuel technologies has been slow. Meanwhile, ethanol producers have sought to maximize the blending level and move as much ethanol into the transportation fuel market as possible. Going into this year, total renewable fuel volume target is 19.29 billion gallons, 15 billion of which is the conventional biofuel most likely to make it into auto and small engine fuel tanks. 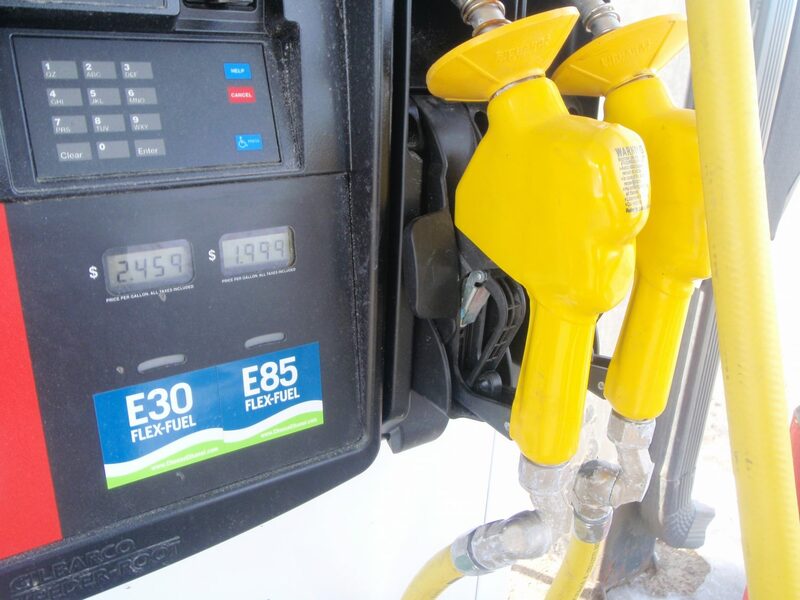 While this was a small increase, ethanol producers want more.